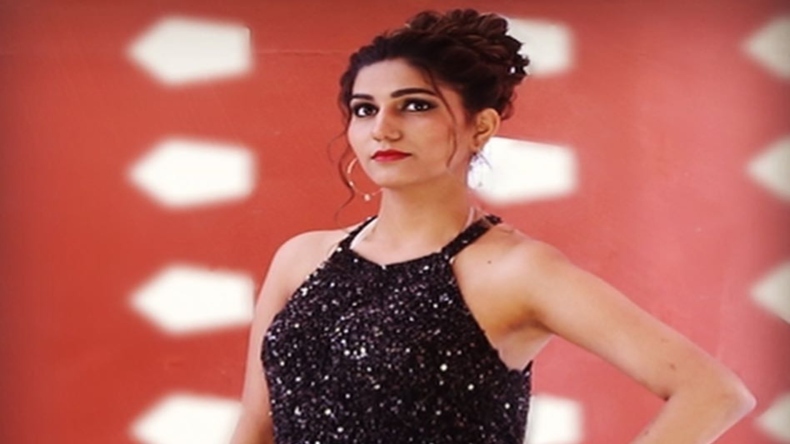 Known to take social media by storm with her dance numbers, Haryanvi sensation Sapna Choudhary has shared her latest photos on her official Instagram account. In the photos shared by Sapna, she can be seen looking absolutely stunning in a shimmery black dress. Sapna Choudhary's debut film Dosti Ke Side Effects has hit the theatrical screens today. 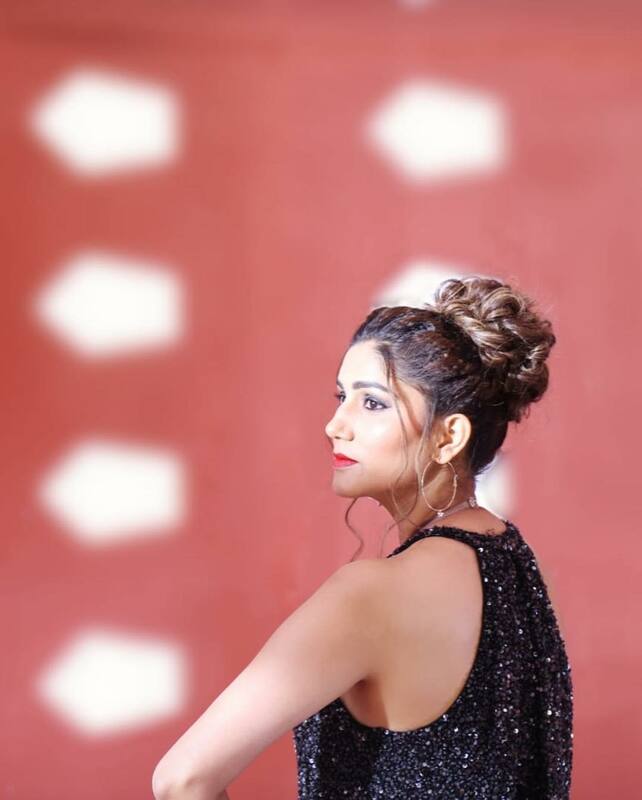 One of the most popular celebrities in India, Sapna Choudhary has carved a space for herself in the entertainment industry with her hit dance numbers. Teri Akhya Ka Yo Kajal, Chetak, Daud Ki Chhori, Tu Cheej Lajwaab are some of the songs that can make anyone dance to its beats. As her debut Bollywood film Dosti Ke Side Effectss hits the big screen today, Sapna has shared her new photos on her official Instagram account. Dressed in a shimmery halter-neck black dress paired with silver hoop earrings and a bracelet, Sapna looks stunning as she strikes a pose against a red backdrop. To complete her look, Sapna has tied her hair in a top knot bun and opted for a red lipstick to brighten up the look. No wonder, Sapna charms everyone with her gorgeous looks and rules the Internet like nobody else. From being a stage dancer to now a Bollywood actor, Sapna’s journey in Bollywood has been no short of spectacular. Before making her debut, Sapna has also participated in controversial reality show Bigg Boss Season 11. With more than 1 million followers on Instagram, the actor is no less than a sensation on social media. Her debut film Dosti Ke Side Effectss revolves around the life of 4 friends. Helmed by Hadi Ali Akbar, the film has been bankrolled by Share Happiness Films. Along with Sapna Choudhary, Dosti Ke Side Effects stars actors like Zuber Khan, Anju Jadhav and Neel Motwani.